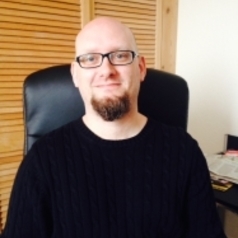 Dr. William Proctor is lecturer in Media, Culture and Communication at Bournemouth University. His research interests include franchise reboots, fan cultures, and the representation and reception of sexual violence. William is currently completing work on his debut monograph, 'Reboot Culture: Comics, Film, Transmedia (Palgrave, 2018). He is also the Director of the World Star Wars Project and co-Director of the Transmedia Earth project (with Dr. Matthew Freeman).